Attorney Naomi Shatz focuses on students' rights, university discipline, and employee rights. She represents high school, college, and graduate students involved in discrimination cases and disciplinary proceedings regarding claims of sexual assault, sexual harassment, and academic misconduct, and represents clients in criminal cases and employment matters. 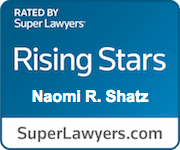 Naomi has been selected to the Rising Stars list by Super Lawyers each year since 2016. In 2018, Naomi was named an Up & Coming Lawyer as part of Massachusetts Law Weekly's Excellence in the Law event. Naomi routinely represents students facing discipline for allegations of sexual assault, sexual harassment, and intimate partner violence. Naomi applies her expertise in the unique area of high school, college, and university disciplinary proceedings to each case, helping her clients avoid serious disciplinary actions by their schools. Naomi also represents students and professors who have experienced harassment or discrimination at their colleges or universities. Naomi’s creative legal thinking and deep understanding of Title IX, sexual harassment law, and sexual assault issues result in substantial victories for the students and professors she represents who are either accused of sexual assault and sexual harassment on campus, or have been the victim of such harassment or assault. Naomi has had substantial success in the dozens of cases she has handled in the past few years, including having her clients found innocent of the charges against them, negotiating resolutions to complaints that protect her client’s academic records, and when necessary, taking her clients’ claims to court. In one case, she won a preliminary injunction requiring her client’s college to readmit him after it had expelled him for allegedly engaging in sexual assault. Naomi represents students accused of plagiarism and cheating, and helps guide those clients through the university disciplinary system. For example, Naomi helped one undergraduate client win his academic dishonesty case and avoid discipline. She represented a graduate student in his appeal from a finding that he committed plagiarism, obtaining a reversal of the finding and the suspension from his program. She also represented a graduate student given a failing grade in a course based on plagiarism allegations, winning a reversal of the grade assignment on appeal. Naomi also represents graduate students and professors in legal disputes with their universities, including employment matters, Title IX and educational discrimination claims, and research misconduct matters. Her deep knowledge of the law applicable to higher education and employment law makes her uniquely situated to assist college and university graduate students and professors. Naomi applies her knowledge of discrimination issues to her employment practice, where she represents clients who have faced discrimination and retaliation in the workplace based on their race, age, gender, disability, or sexual orientation, and she advises clients in ongoing employment situations and workplace conflicts. She has helped numerous clients negotiate separation from their employers and obtain favorable severance packages. She also litigates cases at the Massachusetts Commission Against Discrimination, and in state and federal court. In one federal case Naomi helped her client, a Department of Correction employee, obtain a substantial financial settlement of a lawsuit alleging that the Commonwealth of Massachusetts discriminated against the client based on her disability and gender, failed to pay her equal wages to male employees, violated wage and hour laws, and discriminated against her for taking protected FMLA leave. 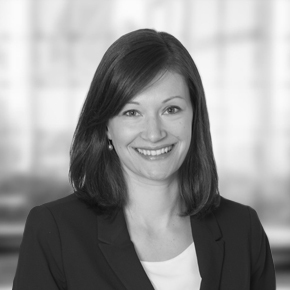 Naomi brings her extensive civil rights background to civil rights cases at the firm. She represented a client in a federal case before the First Circuit Court of Appeals against the federal Transportation Security Administration. The suit alleged that the TSA’s invasive whole-body pat-down procedures violate traveler’s Fourth Amendment Rights and discriminate against travelers who, like Naomi’s client, have disabilities that require them to have metal joint implants. Naomi brings zealous advocacy and thorough legal research to her criminal defense practice, which includes both working with clients to prevent criminal charges from being brought against them, and seeing criminal cases through from arraignment to trial. Naomi has successfully prevented criminal charges from issuing against her clients at numerous “show-cause” hearings (also known as clerk-magistrate hearings) before both clerk-magistrates and judges in cases with charges including assault, restraining order violations, and leaving the scene of an accident. Naomi assists clients to seek resolution of their cases prior to trial in cases involving felony and misdemeanor charges. She recently helped a client charged with multiple felonies obtain a sentence with no jail time where the prosecutor recommended 2-3 years of state prison time. In another recent case the Commonwealth dismissed the charges against her client after Naomi moved to suppress the Commonwealth’s evidence. Where resolution is not possible she takes the case to trial. In a case charging her client with felony animal abuse Naomi successfully argued at trial for a required finding of not guilty for her client, resulting in the judge dismissing the case in the middle of the trial. Prior to joining Zalkind Duncan & Bernstein LLP, Naomi was first a Skadden Fellow and then a staff attorney with Legal Momentum and New York Civil Liberties Union (NYCLU). Naomi represented one of the first students in the country alleging discrimination by his school for ignoring his complaints of harassment by other students based on a failure to conform to gender stereotypes. Naomi helped her client secure a settlement wherein the school district not only compensated the student but agreed to overhaul its policies and practices for preventing and addressing harassment of students. She also represented New York City public school students in a class-action suit challenging police practices in the schools. During law school Naomi was a managing editor of the Yale Journal of Law and Feminism, an editor of the Yale Human Rights & Development Law Journal, and chair of Law Students for Reproductive Justice. She helped found the school’s Domestic Violence Clinic, where she represented survivors of domestic violence in family law matters.